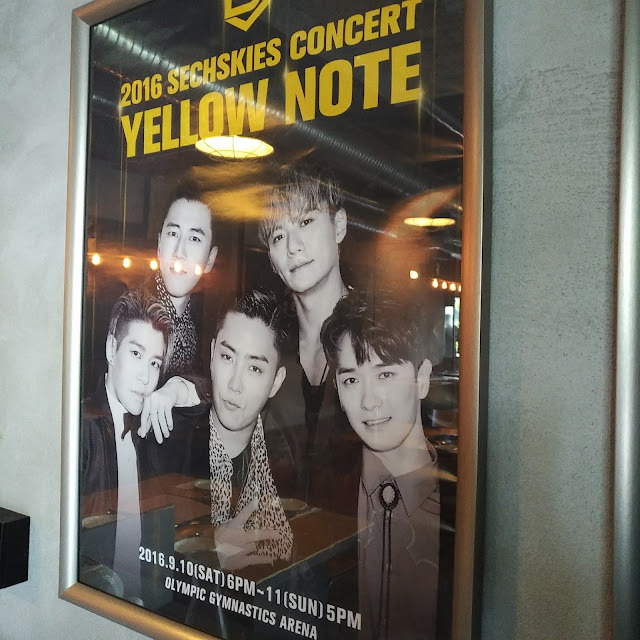 The hallyu craze remains strong in Malaysia, evidenced by more Korean F&B franchises making their presence felt in the local food scene. Last November YG Foods –- a South Korean food and restaurant company headed by K-food and lifestyle celebrity Noh Hee Young as its CEO -- entered the fray with YG Republique. The fully integrated K-style food and entertainment space chose TREC Kuala Lumpur as its base; enticing urbanites with great food, cool drinks and convivial nights out within its hipsterish, industrial vibe enclave. Warm overhead lighting lend shine to a raw backdrop of exposed brick and mortar whilst autograph scribblings and K-pop paraphernalia adorn gray feature walls. Here, patrons get to experience the dynamism of Korean pop culture and entertainment as YG Republique accords the quintessential Seoul bar experience; a holistic all-in-one Korean food & dining experience with lively, entertaining vibes to boot. The main space is devoted to Samgeori Butcher’s, a Korean BBQ/grill restaurant with an adjacent K-Pub, a Korean craft beer bar. We were told Samgeori Butcher’s has three outlets in South Korea, and a Bangkok outlet in addition to the KL outpost. Channelling old-school Korean butchery, Samgeori Butcher’s exudes a laidback, retro-inspired interior: from its woody furnishings to vintage tableware and food presentation. Premium pork and beef cuts are aged on premise such as the three different types of premium pork cuts cured in Cypress Pine, to imbue its delicate scent and allow the meat flavour to develop. Special sauces are developed and served to further accentuate the pork. 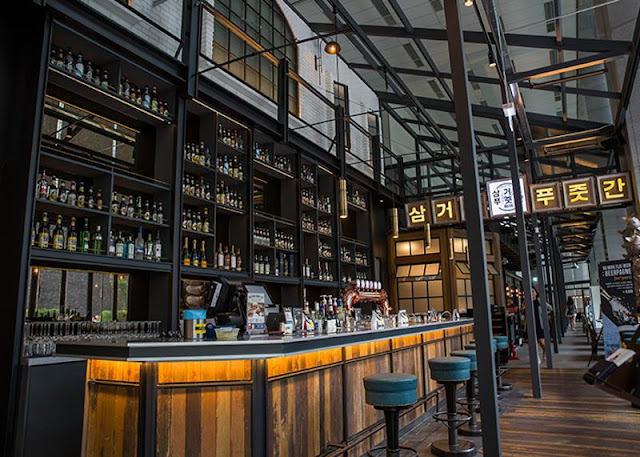 Pairing, sharing & gathering is the key maxim of K-Pub, YG’s answer to a Korean craft beer house. At sundown, music and entertainment draw post-work revellers through its doors in addition to the magnetic pull of mixologists’ magic and nifty bar food. For a start, nibble on Assorted Dried Snacks imported from Korea which made great companions for beer and your fave drinks from the K-Pub, be it soju, makgeolli or maek (beer). The runaway choice for most is inevitably chimaek, the renowned pairing of fried chicken and beer. We were instantly besotted with the delectable Garlic Sauce Fried Chicken (RM52, medium serving). Peppered with bits of pickled bird’s eye chilli and red chilli, the chicken coated in sticky garlic sauce were scrumptious. A side dish of radish kimchi helped to cut any discernible greasiness (but there wasn’t any thankfully). First-time patrons will do well to go with the Butcher’s Sampler (420g, RM170) comprising Spanish Iberico Pork Neck, Pork Belly & Jowl. Ample for for 2 persons to share, the meat cuts came nicely wrapped in newsprint butcher paper similar to the old days in Korea. The YG team acquitted the BBQ process deftly and efficiently minus any smoky residue bothering us. As we munched on assorted ban chan and two Korean salads, we had a nice time comparing notes on the cuts each of us preferred but frankly, the pork was sublime with the various sides of house dips, pickles, raw garlic and fresh lettuce. Communal sharing is the way to go here with house specialities like the YG Special Budae Jjigae (RM60). Best shared between 2-3 persons, the robustly flavoured Korean army stew with pork, ham, sausage, kimchi, ramen and rice cakes left us feeling hot under the collar but utterly satisfied. Chilli and spice fiends will find piquant succor from the fiery hot Spicy Squid and Pork Belly Bulgogi (RM35). Although the heat quotient caused our eyes to water and set tongues ablaze, we agreed its explosive taste was addictive enough to lure us back for repeat helpings. 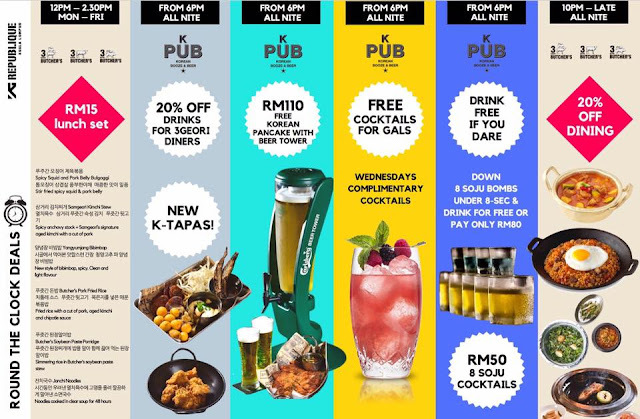 YG Republique deserves a visit the next time you’re in the mood for some good K-pub nibbles and drinks, coupled with porky BBQ dining experience right in the heart of KL.